/ Modified aug 10, 2018 10:45 a.m.
Former Maricopa County Sheriff Joe Arpaio in August 2016. PHOENIX — A judge dismissed a malicious-prosecution lawsuit by the adult son of outgoing U.S. Sen. Jeff Flake over the now-dismissed animal cruelty charges filed against him in the 2014 heat-exhaustion deaths of 21 dogs at an Arizona kennel operated by his then-in-laws. Austin Flake and his ex-wife Logan Brown lost their lawsuit against former Sheriff Joe Arpaio and Maricopa County at a trial late last year. Since then, their lawyers have sought another civil trial, this time against the case's investigator, arguing authorities failed to turn over key evidence that would have swayed jurors in their clients' favor. But the effort to revive the lawsuit failed Monday when U.S. District Judge Neil Wake ruled that attorneys for Flake and Brown hadn't offered any evidence that showed Detective Maria Trombi intended to deprive their clients of any constitutional rights. "The Flakes have failed and continue to fail to present any evidence that Trombi intended to infringe on any such right," Wake wrote. The young couple was caring for the dogs while Brown's parents, who operated the kennel out of a room at their home in Gilbert, were out of town. An electrical engineer told Arpaio's office that the kennel's air conditioner was inadequate for the 9-by-12-foot room, but also said the AC unit operated all night. Trombi told the grand jury that charged Flake and Brown that, according to electrical records, the air conditioner was on all night. But the criminal case against Flake and Brown was dismissed at the request of prosecutors after an expert later determined the air conditioner failed because the operators didn't properly maintain it. Lawyers for Flake and Brown maintained their clients had no idea at the time that the air conditioner was failing. Before the civil trial, Wake ruled authorities didn't have probable cause to charge the Flakes with a crime. County Attorney Bill Montgomery had said the theory of the case presented to grand jurors didn't take into account the potential for problems with the air conditioner. The kennel operators eventually pleaded guilty to animal cruelty charges. New evidence surfaced during the civil trial that led Wake to bring Trombi, who had already been dismissed as a defendant, back into the case. Graphs prepared by Arpaio's office and Montgomery's office had suggested the air conditioner had failed during the night, Wake wrote. The judge said Trombi had seen the graphs before her grand jury testimony. Wake had said a reasonable person could conclude that what Trombi said to grand jurors was false or misleading. In seeking a new trial, attorneys for Flake and Brown had argued the 14th Amendment guarantees due process rights to be free from malicious prosecution. But Wake wrote the Constitution doesn't contain a due process right against malicious prosecution. 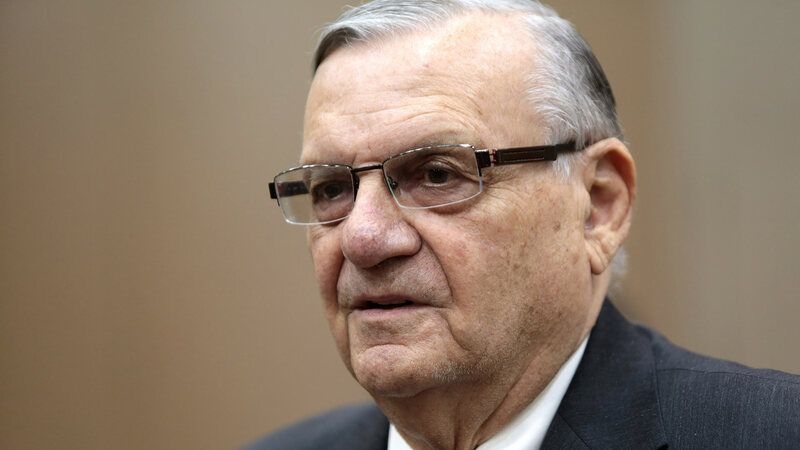 Arpaio, now a candidate for the elder Flake's Senate seat, was the sheriff of metro Phoenix at the time charges were filed. The Flakes alleged Arpaio brought the case against them to garner publicity for himself and to do political damage to Flake's father, who disagreed with Arpaio over immigration and was critical of the movement questioning the authenticity of then-President Barack Obama's birth certificate.